Tokugawa is a daimyo in central Japan. It holds the Shogunate in later start dates. The Tokugawa clan begins in Mikawa and really meek at the beginning. One should always keep army maintenance low until as close as possible to war (by looking at how much morale recovers in a month when in full budget, and then deducing the budget up to a point the reduced morale can be recovered on the first day of the month). For diplomacy, it is somewhat about luck, depending on the initial set of alliances and rivalries. Tokugawa begins allied to Hosokawa, a reliable ally. The Uesugi may not view Tokugawa as a rival at the beginning and it is often worth allying them. Should Uesigi gain more land, he will desire Shinano and may fight you for the province. Hatakeyama is initially allied to Hosokawa (Tokugawa's main ally), but this alliance is likely to break eventually. Calling in Hosokawa or Uesugi by promising land (which you need not actually give them) is a good way to beat alliances of several daimyo. Possible first steps (depending on alliances) are to take Shisano from Ogasawara, Suruga from Imagawa, or Ise from Kitabatake (fabricating a claim across the sea). Declaring war as soon as possible means one of these can usually be fought before they make alliances. If Shiba or other allies are busy, it may be possible to take Owari from Oda early on too. The province Mino owned by Toki should be avoided without allies because it contains a level three fort. If captured, this fort should be deleted as it is too expensive to maintain. Taking two provinces should increase your force limit to five, provided autonomy has not been increased. 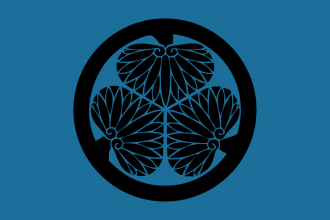 This gives a powerful edge against one-province daimyo, allowing you to fight them easily with minimal losses, without going over the force limit. Initially, Tokugawa should avoid increasing autonomy whenever possible, as new provinces are a large proportion of your income and force limit. If possible, harsh treatment should be avoided, as being ahead in military technology (especially reaching tech 4 first) greatly increases your ability to fight small battles between fewer than 5000 men without taking heavy losses. Sometimes harsh treatment is necessary, however, as rebel stacks will often have 8000 or more men, making them impossible to fight before you have a large amount of land. Should an external war happen -- meaning the shogun is fighting an outside war -- maintenance can be lowered to the minimum as no daimyo wars can be declared. The shogun may also fight your rebels, as will passing armies. Taking the shogunate early should be avoided, as it is much faster to take land through conquest than by diplomatically integrating daimyo as the shogun. Additionally, if there are many daimyo, every one of them will get a negative opinion modifier when a daimyo is integrated, making it near impossible to integrate daimyo after the first few. After 1450, the capital can be developed (with the Common Sense DLC) to spread renaissance. Important modifiers to cheapen this are loyal and influential merchant guilds, the state development edict, and one of the missions. Make sure to get essential technologies like military and admin level 5 technologies before spending points developing. For ideas, Exploration can be a good first choice, as discovering America (through Aleut in Alaska) gives you the chance to spawn the colonialism institution, giving you 100 monarch points of each type and cheapening technology costs. Additionally, the colonists from exploration can be used to fabricate claims in the Phillipines and Indonesia (the colonies don't need to finish) and to form colonial nations in the Americas. The provinces of Etchu, Echigo, and Iwami have events that give them gold mines and development, so these provinces are important to take. Likewise, centres of trade are useful. Once Japan is united, it will be the end of the chaotic Sengoku Jidai and finally, it is time to build up strength for beyond Japan, such as into Korea or Indonesia. This page was last edited on 22 December 2018, at 13:56.